There were two high points in the career of Tony Blair. One was 2003 when Hugh Grant played the British prime minister in Love Actually. The second was in 2006 when Michael Sheen played him in The Queen who was herself portrayed by Helen Mirren. Frankly, it's been downhill ever since. Of course, he had been the longest serving Labour prime minister in history. But he was also a victim of the Iraq war which he had supported basically against the wishes of his party and certainly of its rank-and-file. On the very day he told his monarch that he was stepping down and moving out of 10 Downing Street he was appointed Special Envoy of the Quartet on the Middle East, the quartet being the United Nations, the European Union, the United States and Russia. A more motley group of intruders into the almost century-old Israel-Palestinian dispute could not be imagined, let alone invented. Anyway failure was its destiny and so also was it the destiny of Blair, poor bloke. Well, not exactly poor. Like his great friend Bill Clinton he was adept at making cash cling to his fingers and also putting a varnish of philanthropy over his clammy enterprises. In any case, his successor as prime minister, Gordon Brown, pushed Blair as the first full-time president of the European Union. For weeks, fate seemed to be on his side. 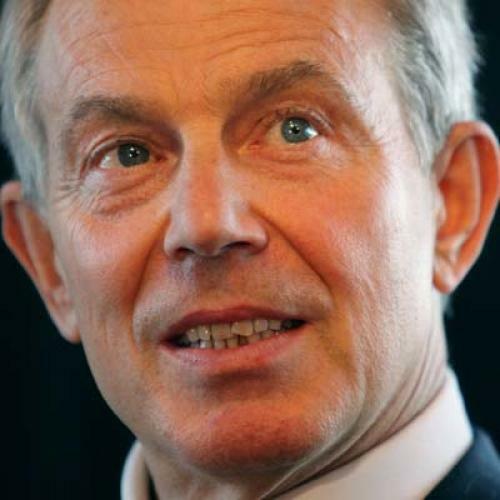 But the traumatic decline of Labour's standing with the British electorate, which goes to the polls in May, must have made the Europols think twice or thrice about putting Blair at the head of a quarreling and cumbersome government of Europe. It must have also occurred to these pols and to their colleagues at home that Blair had achieved exactly zero--and not a whit more--in his droopy venture with the Israelis and their Palestinian foes. But, then, there was the crisis of European identity and character. Saturday's Financial Times has a sobering response, "Leaders turn their backs on Giscard's vision," by George Parker and Joshua Chaffin to their own question: "Does this all signal a death of European ambition?" It is instructive that the person the Euroleadership chose as the chief executive of the continent's political economy was somebody whom nobody knew: he is Herman Van Rompuy who has been prime minister of Belgium for nary a year. Now, Belgium may be a fine setting to learn to deal with fratricidal impulses. You see, Belgium is not exactly a country, what with its deep-rooted cleavage between Dutch-speaking Flanders and French-speaking Wallonia. As far as I can tell all that unites them is their common anxieties about the fast-growing Muslim population. In any case, Rompuy seems a perfect pick for a regime without ambition. Lady Ashton, the new diplomatic head of the E.U., is not less unprepossessing. I have always thought that the idea of Europe was a fantasy which would continually struggle with the idea and the reality of nations on the continent. This idea and this reality were what assured the survival, even the vibrancy of democracy. I hope that the obvious depression that emanates from Brussels will deepen and cut off at the knees the bureaucratic monster of one Europe.